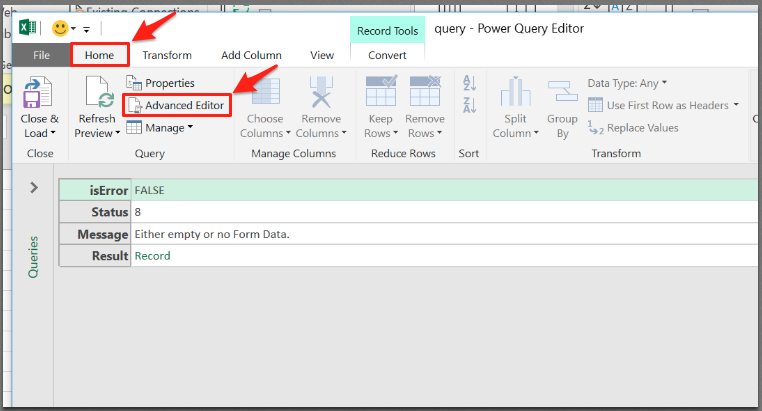 You can use Excel Power Bi to automatically load query data which is kept up to date every time you open the excel file. 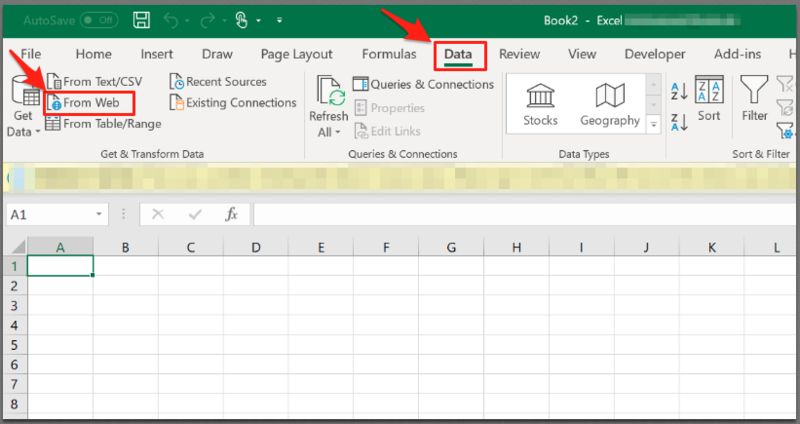 You can then link the query within Excel. 10. Remove all text in this text box. 13. 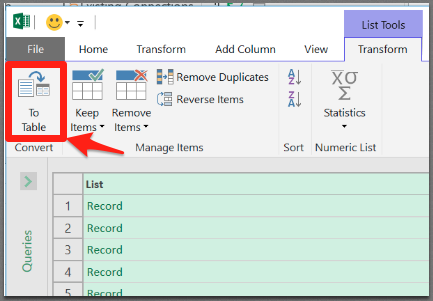 If loaded successfully, the data will be available in the Result section. To double check the above data is correct, go back into the API settings within People®. 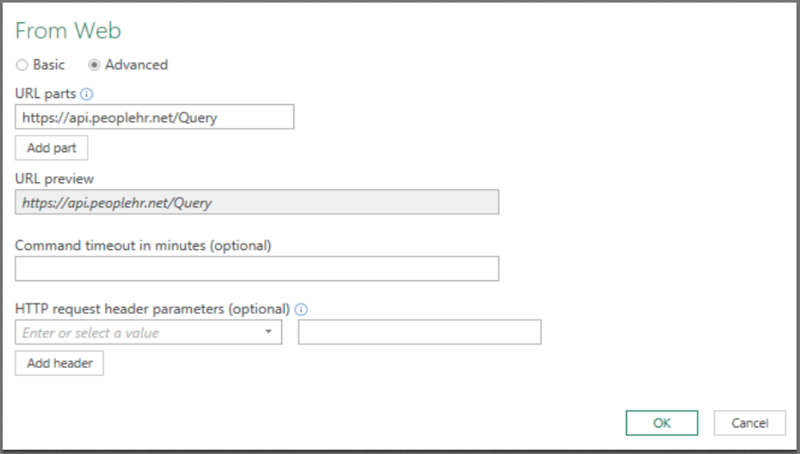 From here you can view the Query Endpoint to see if the specific query has been included in this key. 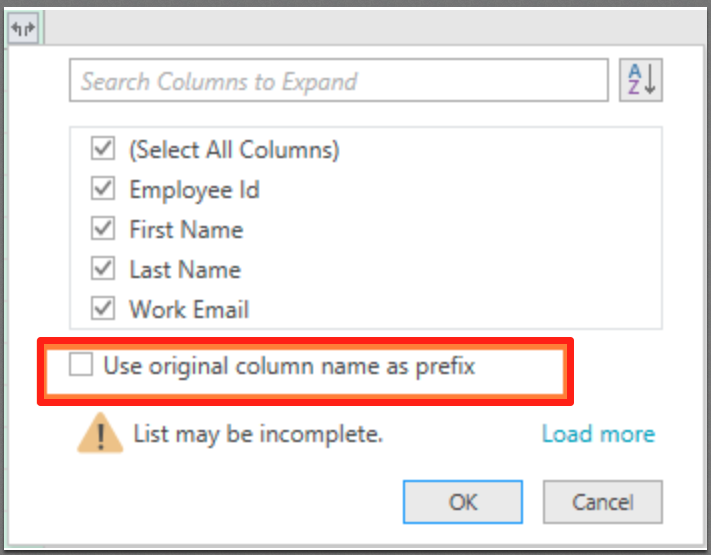 You can then also cross reference the query name within here to how you have typed this within PowerBi.